Description:A steroid, which has a great influence on the metabolism of proteins in the body. 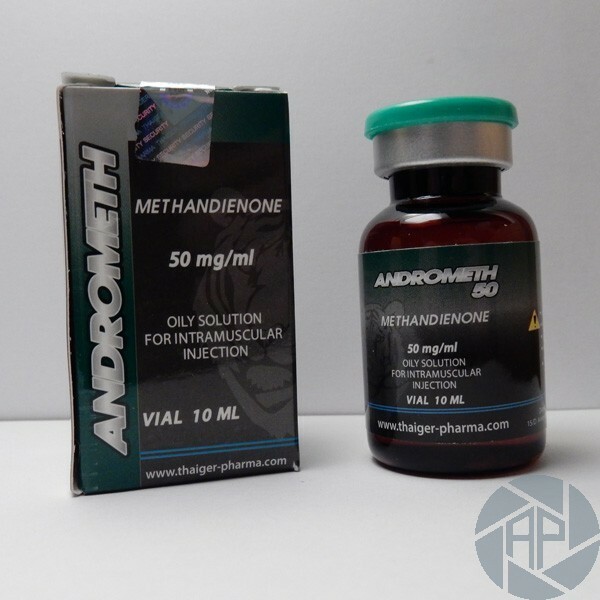 The active ingredient of it - methandienone. This composite is a derivative of the testosterone and affects the synthesis of proteins actively in the body to be exchanged. All these thanks to the fact that the organism is enriched with nitrogen help to increase the amount of protein in the body and the development of bone growth. It also gives much energy and reduces the time required to recover from workouts. Is one of those steroids more effective that you have created. It is specifically designed for athletes to increase productivity during the training. The increase of weight can get to be around 4.3 kg in 7 days. From the end of the Decade of them, 60 had an excellent reputation among them athletes, called "breakfast of them champions" and eventually is became commonly used between them athletes of all the disciplines. When is takes on the inside, let's quickly active, but this activity has a duration of the approximately half day? Athletes receive 50-100 mg of the drug per day, divided into two stages. For beginners and women, they need to calculate the dose individually, starting with the body weight and the desired result. Take possible only if there are no contraindications or sensitivity to the individual components. In the beginning, the reception is necessary to observe the reaction of the organism. Moreover, only then increase the dose. Not can bend the dose to take over this dose, or more than one-speed default. Not recommended for pregnant women, women who are fed breastmilk and adolescents up to 18 years. It is necessary to follow a diet high in proteins and calories. It is worth remembering that it is toxic to the liver and kidneys, so it is worthwhile to take only strictly in the dose, without increasing them. In the case of overdose or ingestion already planned a course, there may be side effects such as a toxic effect on the liver and kidneys, hair loss, hair growth on the body and the face, dizziness, nausea, headaches, high blood pressure, the appearance of women in male sexual characteristics. Only acne, rashes all over the body, hoarseness of the voice in both men and women. The drug is well tolerated when applied by the dosage, on an individual basis.